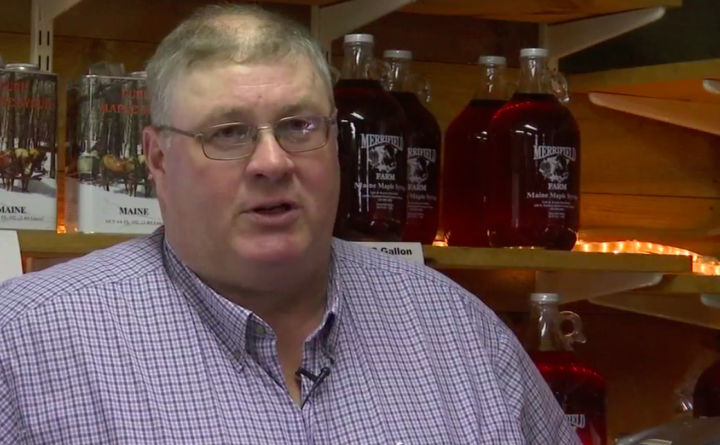 Lyle Merrifield of Merrifield Farm and Sugar Shack in Gorham talks to CBS 13 about new FDA labels on maple syrup and other products alerting consumers about "added sugar." Merrifield said Maine maple syrup producers aren't adding sugars to their products, and the terminology could deter customers. GORHAM, Maine — The FDA is changing the way you look at sugar. A new nutrition label aims to distinguish between naturally-occurring sugars and added sugars. Some in Maine’s maple industry say the additional labeling by the FDA is misleading, and could turn away customers. The Food and Drug Administration wants to put an “added sugar” label on maple syrup bottles. The FDA says it’s meant to be a warning that maple syrup has a high sugar content, but maple makers say it’s nothing short of a lie. Lyle Merrifield with Merrifield Farm and Sugar Shack says he’s worried about how an “added sugar” label could subtract from sales. Merrifield says lies on the label or not, maple syrup is a mainstay in Maine, but he wants the FDA to recognize that pure maple syrup is just that. “As we try to expand our markets and bring in more customers, we don’t need another bump in the road implying that there are other added sugars into that product,” Merrifield said. The FDA has a proposal in place that would add even additional labeling that would elaborate what added sugar means for industries like maple, honey, and cranberry.